On Thursday afternoon we started to see some hit-and-miss thunderstorms in South Florida. Friday could yield a few more of these, or at least more rainstorms that could affect parts of the metro area. But the big story heading into the weekend is the risk of a couple of strong lines of showers and thunderstorms between Saturday and Sunday. 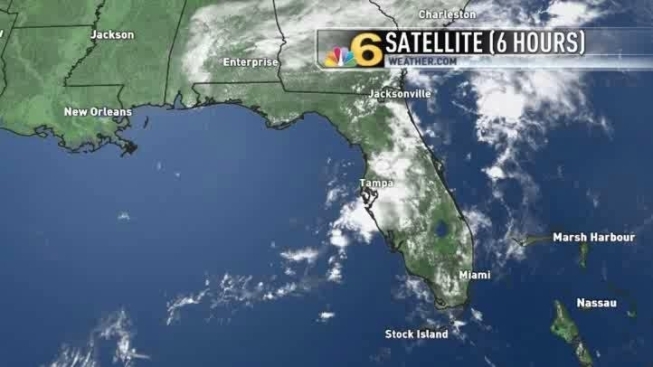 Low pressure is expected to develop over the Gulf of Mexico and cross the state. In South Florida, a warm front approaching on Saturday would set off the first round of thunderstorms, mainly in the afternoon. Then on Sunday a cold front would approach, leading to a second band of strong thunderstorms that could cross the area early in the day. Temperatures will remain steady with highs in the mid-80s and lows in the lower 70s.